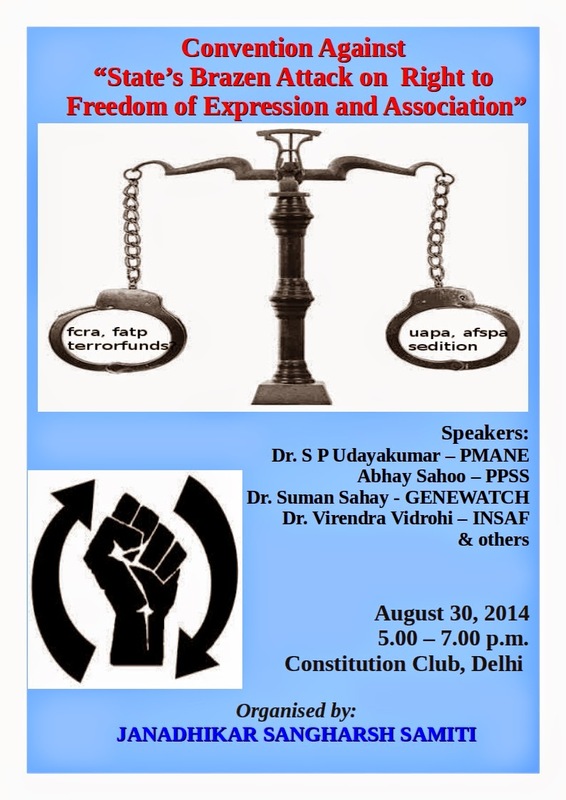 We invite you to participate in a protest convention against “State’s Brazen Attack on Right to Freedom of Expression and Association” on 30th August in Delhi. The meeting is being organized by various peoples movements, civil society groups and individuals with two objectives. First to register our anger and protest against the NDA government and the state on the attack on the constitutional and fundamental rights of the people of India, freedom of expression and the right to protest and organize. Second, to discuss and plan a nation-wide sustained campaign in support of organisations which are fighting for the democratic rights of the poor, marginalized and disposed. As you are aware, within days after new NDA government came to power, some portions of the so-called IB report were “leaked” and published in an English national daily. The “leaked IB Report” made wild and baseless accusations against peoples movements and several individuals. The allegations ranged from indulging in anti-national activities, stalling major development, projects embezzlement of funds and posing a threat to security of India. 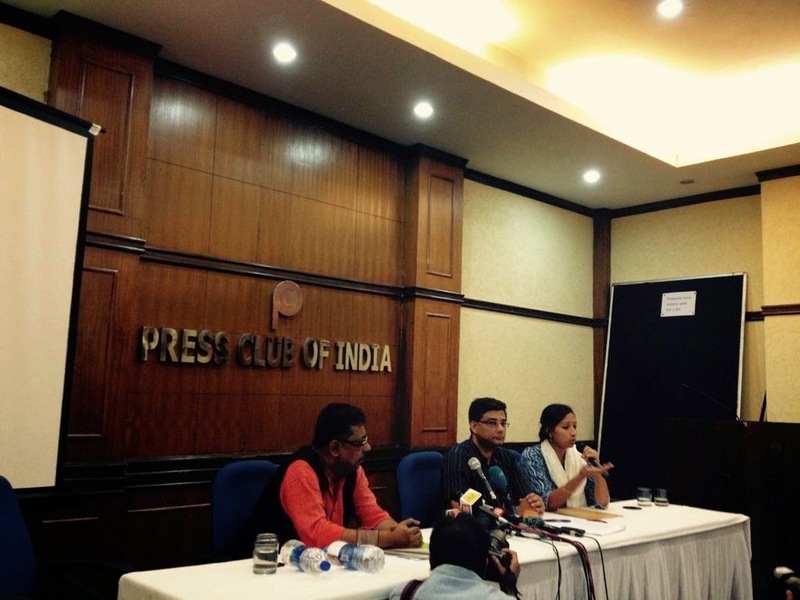 Sections of Indian media and corporate houses too joined joined hands with the state in this false propaganda to create a perception in the general public that all NGOs and peoples movements are corrupt, anti-national and a threat to the national security. The peoples movements, NGOs and all those struggling to uphold the constitutional and democratic rights have been facing such attacks since the inauguration of the neo-liberal economic policies in the early 1990s. The state has tried to curb the voices of dissent by making changes in the legislation and using unconstitutional means of harassing activists through false charges and arrests. And the corporate media has helped and played an important role in assisting the state in this venture. The convention will also protest against the anti-people and anti-poor reforms related to labour and environment rights, proposal to reform the land acquisition act, arrests and harassment of democratic rights activists and organizations and other such authoritarian and anti-democratic policies of the government. We request you to join in large numbers and inform others to participate in the convention.